Discussion in 'Edged Tools' started by T-Bone, Oct 3, 2011. While out scouting for deer sign, I found the cottonwood that had been blown over the trail earlier this year. It was still alive since the leaves are green and the roots are half in the pond. The way it was laying was the roots are at the pond 20 feet from the trail. The trail is about 10 feet wide with a bank that goes down 10 feet to a small creek. the other bank is a good 30 feet away where the top of the tree is. So, the tree was about 60+ feet. I thought I would give James Helm's BushSword and my arm a good workout. I'll let the pics do the talking. Here it is just after beginning. I did a few chops before thinking about snapping pics. After the 20 minutes and 5 more chops it snapped. I then worked at it for 10 more minutes to get it all the way down. After about half way through, I realized I should have taken a wide angle to get through. I was making saw(machete)dust in the cut but was still getting through. 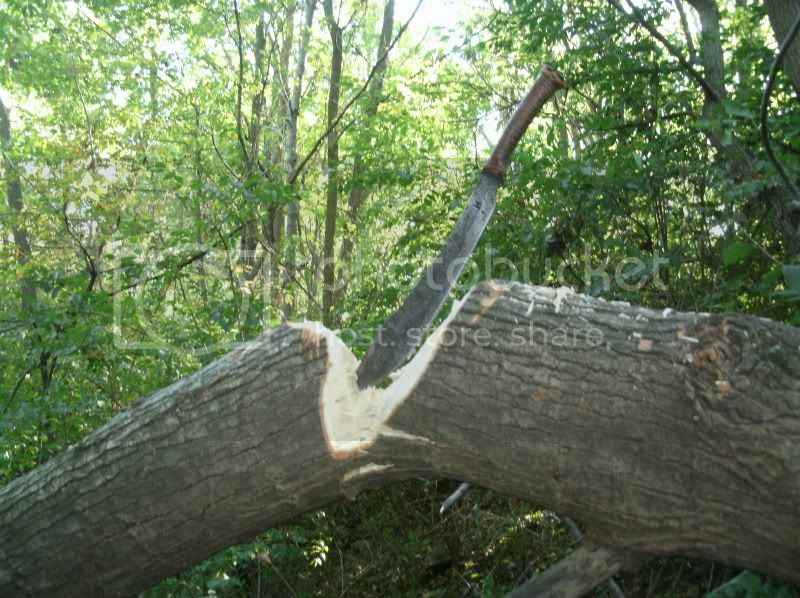 Overall, the BushSword performed better than I expected at chopping through a large tree. 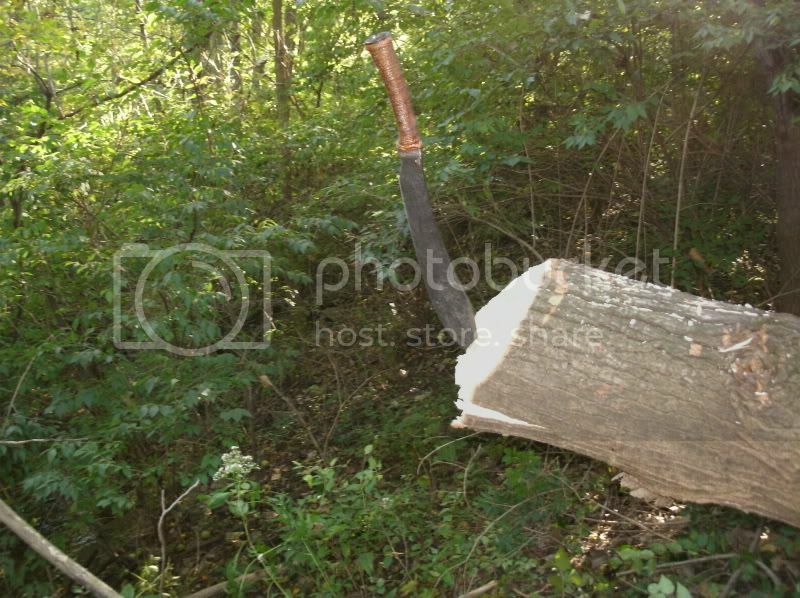 I did not measure the trunk, but it is the biggest I've chopped through with a machete. 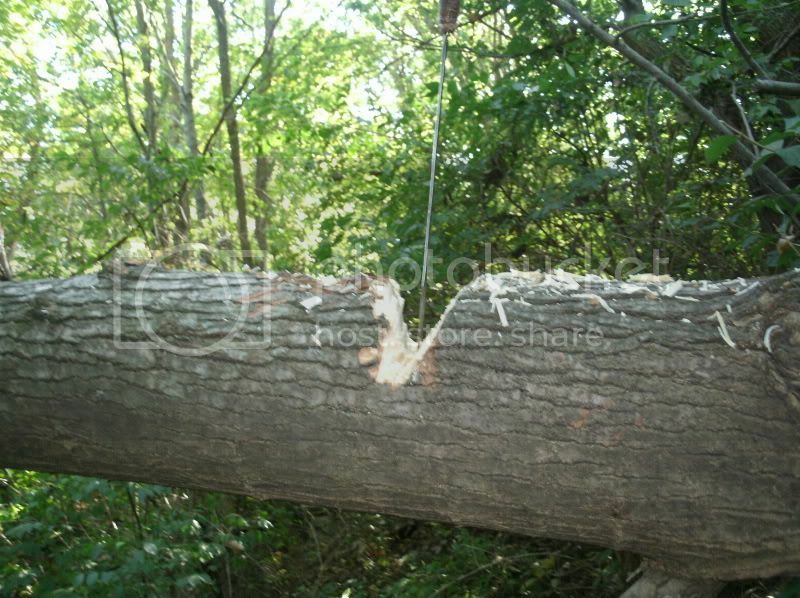 Being cottonwood, and green, helped a bunch, but it was no small task for a big bladed knife. I thought that the wrapped handle would tear up my hand, but it did not. The edge held up really well. I ran it across my sharpening steel a few licks and it was as good as new. Well Done, Mr. Helm, for a magnificent blade! mjh, Chriiis.Glover, A K Church and 3 others like this. How thick is that blade? What kind of steel is it made from? That blade shape seems to be one of the best for chopping and slicing. 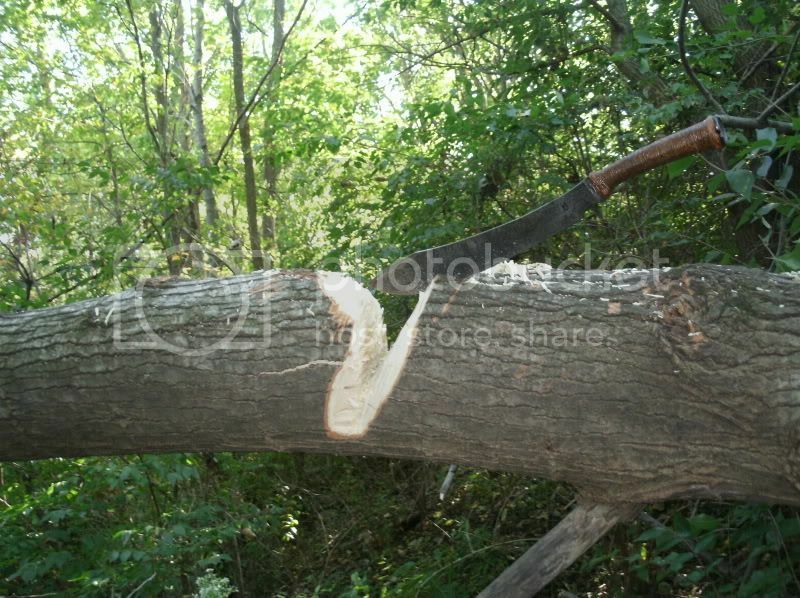 You could scale that shape down at various sizes from sword to large chopper, to large knife, to typical bush craft size and a mini version, and have decent knives all the way around. It is 5160 leaf spring beaten until morale improved. It is 4.3mm in front of the ricasso, 3.7mm at the 'hump', and 1.5mm at the tip...all measured at the spine. The blade is 13.25in. and 20.75in overall. At it's widest it is 2.25in. It is even more effective on smaller vegetation. James is working on some small sized blades in an on-going experiment/exploration. I think even a beaver would be proud of that. I wouldnt consider that too bad or unrealistic at all. Is it an axe.....no. 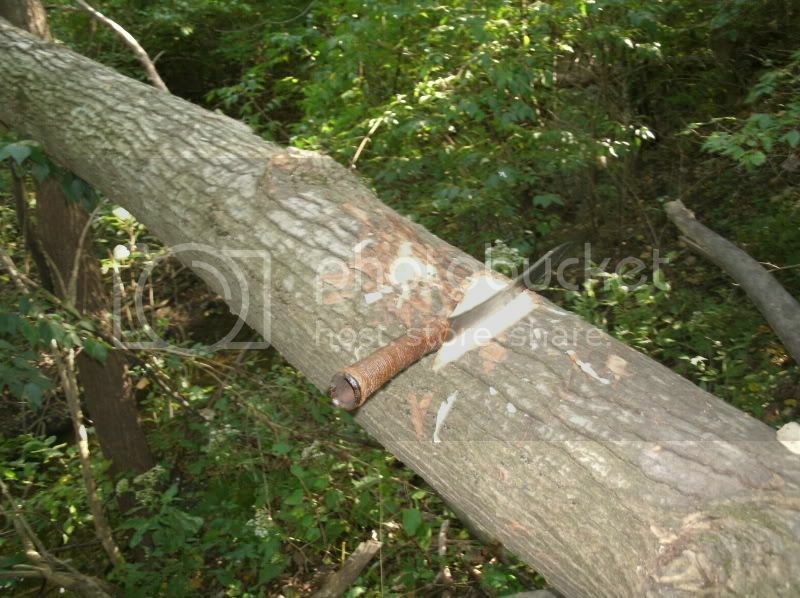 Is it a great 2nd when ya dont have an axe or if your on the jungle/trail.....Id say so. Haha haha nicely done! Good work out. I like your tenacity Popeye!